Luo Jin (The Princess Weiyoung) and Zheng Shuang (Beauty Private Kitchens) will be playing first loves and then husband and wife in Love the Whole World 为了你我愿意热爱整个世界, based on the novel of the same name by Tangjia Sanshao. 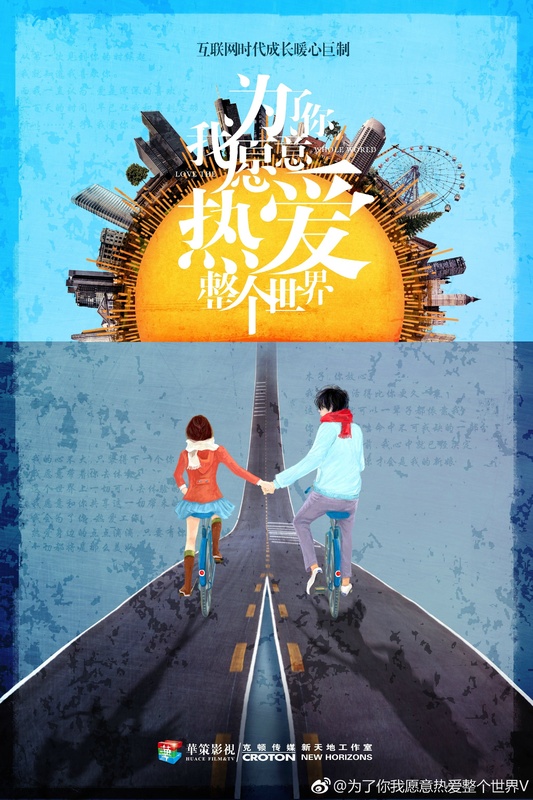 The story is based on Tangjia Sanshao and his wife’s own experiences as young adults, and follows their friendship and romance over seventeen years. The novel also details the hardships the author endured before becoming the famous internet novel writer he is now. I find it adorable that the characters’ names – Zhang Changgong and Li Muzi – are derived from the couple’s actual surnames. The drama is directed by Yu Cuihua (second director in Love O2O, TLTWTMPB) and written by Mobao Feibao (second writer in My Sunshine, Bu Bu Jing Xin). This entry was posted in Drama, Mainland China and tagged Love the Whole World, Luo Jin, My Story For You, Zheng Shuang by XDramasX. Bookmark the permalink. I am curious. Did you not mention being excited about the female lead on purpose or was that just an oversight? Oh, haha! She’s acted in a lot of dramas. She was in Love020 with Yang Yang last.